I have been thinking about the subtle modulations available within a type family: roman, medium, bold, italic etc and how these elements could be used by typographers to further enhance the understanding of a text. I started to imagine these modulations as a kind of mark-making, akin to mark-making in drawing or painting, a form of self-expression. Gerard Unger has remarked that: “Reading is not the same as looking.” If type is not for reading, if it becomes unreadable, then does it become decoration? As Emil Ruder states: “Typography has one plain duty and that is to convey information in writing. No argument or consideration can absolve typography from this duty. A printed work which cannot be read becomes a product without purpose.” Visual reading, of the kind associated with Émigré, prioritised looking over reading. Expressionism, on the part of the designer was foregrounded at the expense of the meaning of the text. I made a visual audit of ten sans-serif typefaces: Arial, Akkurat, Akzidenz, DIN, Franklin Gothic, Grotesque MT, Helvetica Neue, Unica, Univers, and Verdana. I altered the x-height so that all the typefaces could be layed over each other, and with layers of transparencies, it was possible to see the differences and similarities of each typeface. It immediately became obvious that most of these san-serifs shared the same skeleton but with subtle (and sometimes not-so-subtle) differences. The letters that had the most dissimilar elements were the uppercase G, J, K, M, Q and R and the lowercase g, j, k and w. However, I began to think that my methodology was flawed: I had chosen typefaces that were similar and whilst my visual audit had revealed differences I wasn’t sure that I was any closer to understanding the meaning that the typefaces were transmitting. At the start of Unit 2.3 Design and Rhetoric, I have tried to expand the ideas that I explored in Unit 1.2 Design Discourse, where I looked at the possibility of neutrality in graphic design. At that point I had a very fixed position informed by Beatrice Warde’s promotion of the ideal of ‘transparency’ in design: designers should aim for neutrality and not self-expression and that the role of the designer is to facilitate the transmission of information. At the end of Unit 1.2 I came to understand that neutrality is largely unachievable and that the meaning of messages cannot be fixed. 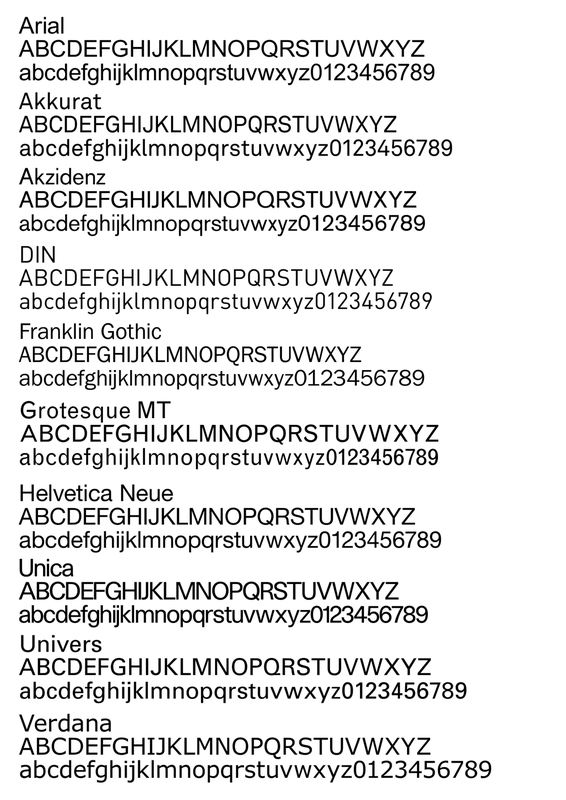 Thinking about this idea again, I looked at the idea of the ‘meaning’ of typefaces. Derrida suggests that texts are open to multiple interpretations. Can the choice of typeface influence this reading? Typefaces can - and do - transmit different meanings but is it possible to measure these messages or are they totally subjective, dependent on the context and the previous knowledge of the reader? 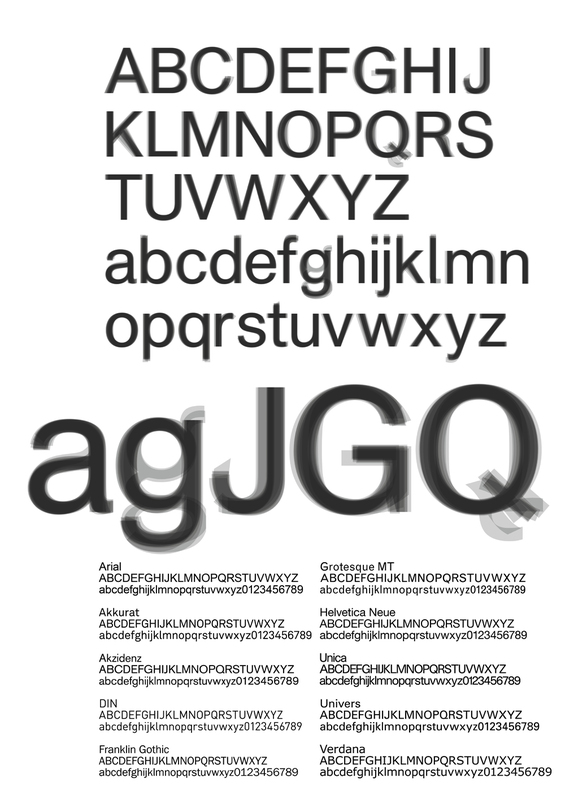 “Can a typeface be neutral? While there are typefaces more ‹neutral› than others, sometimes it is exactly this connotation that spoils the idea of ‹neutrality›; such as with Helvetica: Because this typeface is so ubiquitously used, and because it is universally, but vaguely agreed among most graphic designers to lack any character, it was attributed, over time, the connotation of not having any connotations, the connotation of neutrality.